You can join the UK national apex body for the co-operative movement, Co-operatives UK (CUK) from £95 p.a. See:- http://www.uk.coop/membership/join for details. As part of your membership you will be offered free membership of Co-operatives and Mutuals Wales, plus a whole range of other benefits including discounts off CUK events. This is only available to co-operatives, but it is the best way to support the movement nationally and internationally. 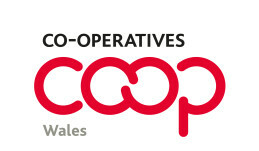 Or you can join Co-operatives and Mutuals Wales to get involved with the wider co-op movement in Wales. This is available to individuals and co-ops, and is the only way for individuals in Wales to support the wider movement. To join CMW please complete this form and then pay your subscription via the PayPal "subscribe" button at the foot of the page.